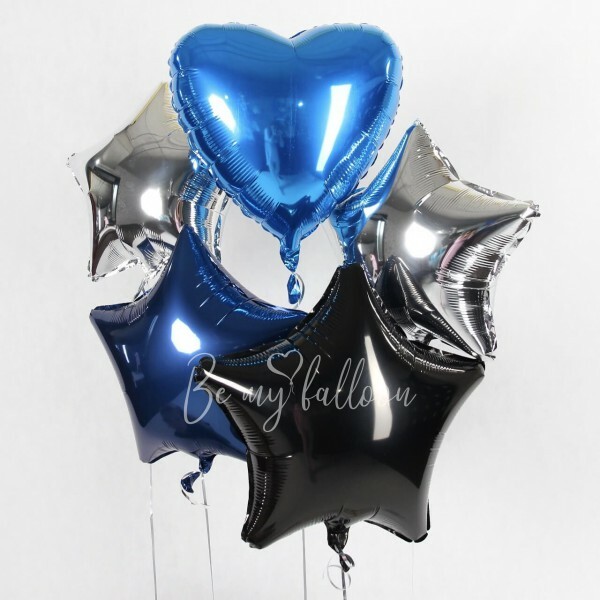 This set will delight you for a very long time, because the foil balloons are the most durable and long lasting. They shine in the sun and shimmer in different colors. This set includes: - 4 foil stars 20" - 1 foil heart 18"